So I've done gone and opened a Society 6 shop. I’ve been toying with the idea for a while now and finally pulled the trigger. 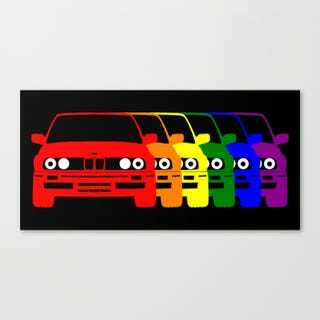 The shop is called LGBTCars, and as the name implies its goal is to provide pride-themed paraphernalia to LGBQ, Trans, and Allied auto enthusiasts. I’ve only got a few designs up now but you can expect much more in the future! I’m open to suggestions for what cars to do next!